At any age or stage, the YMCA has health and fitness programs designed to help you achieve your goals. Cardio rooms with modern equipment, including treadmills, stationary bikes, ellipticals, rowing machines and stair climbers. 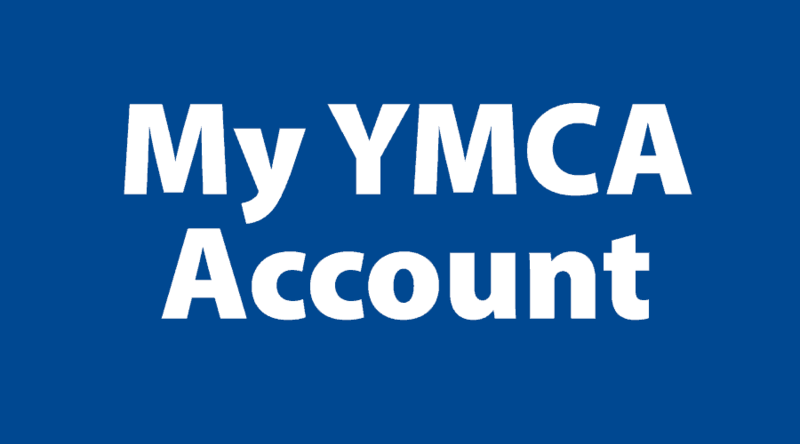 A YMCA Coach to help get you started. They can guide you in establishing healthy exercise behaviours while celebrating your continued success. Looking for more? Sign up with a personal trainer to create a personalized fitness program. Great Classes run by Fitness Experts! At any age or stage, the YMCA has health and fitness programs designed to help you achieve your goals. From beginner level classes, to high-intensity boot camps, our group fitness classes will help you achieve your goals and help you feel a part of the YMCA community. Whether working to increase strength and endurance, lose weight or just stay active, joining a group is a great way to help keep you on track towards reaching your personal fitness goals. Here are some of the programs we offer. Please note, that not all classes are available at all of our locations. Please view our schedules for details. Open Gym – There are plenty of ways to stay healthy while having fun, especially when the weather is not cooperating. Enjoy the use of the YMCA gym and equipment during these open periods when facilitated programs are not running. Open gym is available to participants 16 years of age or older. Aqua Core – Resistance training using core stabilization has never been more refreshing. The water is the perfect place for improving dynamic balance, strength, agility, and coordination. Learn to use training intensity, alignment, muscle involvement and muscle integration in this total body workout. Aqua Run – Whether you are recovering from an injury or looking for an off-road training opportunity, water running is a great way to stay fit. This low impact, high resistance activity will work a similar set of muscles to running and give your endurance a boost without putting too much pressure on your legs and knees. Aqua running does not require any previous training. Aqua Therapy – The Aqua Therapy class is great for individuals who may be unable to exercise on land, but often can do so comfortably in the water. Using the physical properties of water, participants will perform a series of resistance exercises and stretches in this shallow water workout. The exercises are specifically designed to provide relief of pain, increase mobility, improve conditioning and strengthen muscles. Aqua Yoga – Aqua Yoga is a low impact aquatic exercise that applies a unique series of exercises that combines the therapeutic and buoyant nature of water with the energizing and harmonizing effects of yoga. Many aqua yoga exercises are classical yoga postures adapted for water. The exercises are specifically designed to help you develop strength, static balance and increase your range of motion. Aqua Zumba® – Aqua Zumba blends the Zumba philosophy with water resistance, for one pool party, you shouldn’t miss! This low-impact, high-energy aquatic exercise lessens the impact on your joints while creating a natural resistance, which means every step is more challenging and helps tone your muscles. The exercises are specifically designed to enhance your cardio-conditioning, increase muscle strength, reduce joint pressure and increase flexibility. Aquafit – Aquafit is a multi-level workout that offers both cardiovascular and muscle conditioning using the resistance of the water. The exercises are specifically designed to improve your range of motion and cardiovascular health. The class takes place in both shallow and deep water. Flotation belts will be used for the deep–water portion of the class. Hydro fit dumbbells may be used depending on class lesson plan. Aqua Walk/Jog – Whether you have joint problems, mobility issues or are recovering from an injury, water walking/jogging is a great way to stay fit. Aqua Walk/Jog is a low impact, high resistance activity that will work a similar set of muscles to walking/jogging and give your endurance a boost without putting too much pressure on your legs and knees. This is an effective workout for all ages and fitness levels. Badminton – Come to the YMCA and join other participants in a friendly game of badminton. It’s a great way to stay fit, meet other people in the community, and have fun. Teams are made up on arrival and games are self-refereed. Friendly staff are on-site to answer questions and provide instruction if needed. Barre Dance – Using upbeat music, Barre Dance incorporates basic ballet movements and positioning with strength training and toning exercises that are focused on increasing your balance and body strength. Each class encourages participants to work continuously on one muscle group at a time. The class is designed to strengthen technique, improve posture and coordination, and tone your entire body, from head to toe. Basketball – Come to the YMCA to shoot some hoops or play an informal game of basketball – the game that was invented at the YMCA. It’s a great way to stay fit, meet new friends, and have fun. Teams are made up on arrival and games are self-refereed. Friendly staff are on-site to answer questions and provide instruction if needed. Bootcamp – Bootcamp is led by YMCA staff who will provide participants with a series of exercises that are designed to enhance fitness levels while having fun. The workout consists of sports drills, lightweights, jump rope, circuits, and body weight exercises to help improve strength and stamina for any activity. Using a combination of cardio and strength training, it is a great way to burn calories, get fit and make new friends. Building Boomers – Not quite ready for On the Move? Gentlefit a little too easy? This lower impact class offers a full body workout designed to build strength and stamina for older adults. A variety of familiar equipment will be used during the class such as bands, dumbbells, small lightweight balls, and body weight. Each session includes exercises to build strength, flexibility, agility, power, balance, and cardio fitness. Cardio Blast – Cardio Blast is a quick 30 minute or less cardiovascular workout that pushes your strength and cardio moves to maximize your routine in a short amount of time. This workout will get your heart pumping, boost your metabolism, and increase your cardiovascular fitness. This workout will include a variety of different exercises from step to squats to lunges and running that is designed to improve your agility, endurance, and stamina. Cardio Kick – The Cardio Kick class is a group fitness class that begins with an intense cardio workout, incorporating power, coordination, and endurance moves. Cardio Kick is an amazing interval workout that combines cardio, basic boxing and modified martial arts kicks. This program is designed to build stamina, improve coordination and flexibility, and burn calories in a fun and challenging environment. Cardio Strength & Core – Variety is the key to the Cardio Strength & Core program. This program targets all the components of fitness in one class. Each class could include any version of cardio and strength training from our menu of programs. Cardio that incorporates core strength at the same time is always better. Chair Yoga – Yoga for everyone! Chair Yoga is designed for individuals with balance issues, those looking to start slowly or individuals with physical restrictions. The focus of this program is on posture, deep breathing, stretching and tensing of muscles, lubrication of joints and range of motion. Through this program, participants are able to enjoy the benefits of regular yoga, such as healing with stress, pain, and fatigue. Contemporary Yoga – Contemporary Yoga is a flowing class that incorporates yoga, pilates, and movements inspired by dance workouts including ballet and modern dance. This class explores total body movement that uses breath, flowing movements, changes in rhythm, speed and direction. With this class, there’s an emphasis on fitness, fun and individual creativity. From increased strength to flexibility to heart health, there are so many reasons to try this program! Core – Core is an effective class focusing on a variety of abdominal and back strengthening exercises from sit-ups to planks. The majority of exercises are performed on the mat. It is a great way to build core strength and core stability. Cycle – When in need of a challenging workout, look to Cycle. Cycle is a high-intensity cycling workout that takes place on a stationary machine and is a great cardio workout appropriate for all fitness levels. Participants are able to adjust their workout to push themselves as much as they like. Cycle classes include both endurance and cardiovascular training which lead to increased strength in core muscles and improved heart health. Dance Fit – If you love dancing and keeping fit, then Dance Fit is for you! Not dissimilar to aerobics style sessions, Dance Fit will keep you energized and will combine dance moves into standard fitness classes. This program is designed to improve muscle tone and strength, increase aerobic fitness levels and increase endurance. Drums Alive – Did you know that drumming can actually change a person’s brain wave patterns, dramatically reducing stress and anxiety? Drums Alive captures the essence of movement and rhythm and combines it with fun – delivering real fitness results. Drums Alive is full of powerful and motivating music and drumming rhythms that will get your feet stomping and your body moving. The program fosters a healthy balance physically, mentally, emotionally and socially. Anyone can participate, regardless of age or fitness levels. Floor Hockey – Bring your friends or make new ones while you participate in a friendly game of floor hockey at the YMCA. It’s a great way to stay fit, meet other people in the community, and have fun. Teams are made up on arrival and games are self-refereed. Friendly staff are on-site to answer questions and provide instruction if needed. Fusion – Fusion takes a variety of moves from yoga, Pilates and core conditioning, blending them together to offer a unique set of exercises. Build strength, gain flexibility and stability and challenge yourself in a fun, friendly atmosphere. Gentle Aquafit – Gentle Aquafit is a multi-level workout that offers both cardiovascular and muscle conditioning using the resistance of the water. The exercises are specifically designed to improve your range of motion and cardiovascular health. The class takes place in both shallow and deep water. Flotation belts will be used for the deep water portion of the class. Hydro fit dumbbells may be used depending on the class lesson plan. Gentle Aquafit moves at a slower pace compared to Aquafit. Gentle Yoga – Gentle Yoga is designed for those who would like to experience yoga through gentle movements and postures using a variety of tools such as yoga straps and blocks. This class is delivered at a slower pace and takes into consideration mobility restrictions. It is a great class for beginners or anyone with physical limitations. Gentlefit – Gentlefit is designed to improve cardiovascular flow, the range of motion, balance, and strength to allow participants to complete daily movements with confidence. The slower-paced program is great for rehabilitation and strengthening. Gravity – Gravity is a semi-private strength training program that uses the Gravity Training System. The machine has a glide board that slides back and forth using different incline settings. Instead of weights, you use your body as resistance against gravity. Classes are divided evenly between upper and lower body exercises and there are many variations of squats, lunges, and planks to accommodate your needs. The adjustable incline means that anyone can join the program as machines can be easily adjusted based on your fitness level. Group Core – Group Core is great for those seeking a quick, athletic, and intense workout that can be customized for all fitness levels. Expert coaching and motivating music will guide you through functional and integrated exercises using your body weight, weight plates, and a platform. Group Core strengthens everything from your shoulders to your hips to make you stronger, quicker, and faster in all you do. Group Power – Group Power is Your Hour of Power! Blast all your muscles with this high-rep weight training workout. Using an adjustable barbell, weight plates, and body weight, Group Power combines squats, lunges, presses, and curls with functional integrated exercises. Dynamic music and a motivating group atmosphere will get your heart rate up, make you sweat, and push you to a personal best! Hatha Flow Yoga – Hatha Flow Yoga is great for individuals looking for a yoga flow class that is slower than our Power Yoga class. This yoga class focuses on yoga postures that increase balance and flexibility as well as build strength as we flow from one posture to another. Many modifications are taught so individuals can take the practice at their own pace and fitness level. HIIT – HIIT is the ideal workout for a busy schedule. The program offers a complete approach to interval training using equalizer bars coupled with high energy music and Tabata inspired intervals to build: strength, speed, and agility. This program is suitable for all fitness levels and abilities. The Indo Board was inspired by SUP Yoga (Stand Up Paddleboard Yoga), which has exploded in popularity. The Indo Balance Board allows fans of SUP Yoga and those landlocked with no access to a body of water or perfect weather, with the ability to be able to enjoy the same type of workout they would get on a paddleboard. In the worlds of Yoga and Fitness, this incredibly innovative piece of equipment introduces a whole new system of practicing yoga. The Indo Board takes balance training to the next level. The program is designed to increase leg strength, strengthen core fitness, and increase stability and balance. Instructor’s Choice – If you like surprises, then this is the class for you. Each session, the instructor will choose from a variety of different group fitness options to keep you on your toes. Whatever the class may be, you can expect to feel great after your surprise workout. Karate – Karate is a martial art that combines the use of punches, kicks and defensive techniques. It is a great way to get fit while learning important life skills such as self-defense, discipline, and respect for self and others. As a result of learning this moving art form, they will also build core stability, agility, balance, flexibility, and endurance. This program includes one structured Karate lesson per week, led by a trained professional instructor. Legs, Tum & Bum – Legs, Tum & Bum is a light-hearted, yet powerful class, which will tone and shape the areas we tend to worry about most. The program is designed to increase stamina and overall aerobic fitness. The class starts with an aerobic warm-up, followed by exercises designed to tone and build strength with a stretch session at the end to increase flexibility. Masters Pickleball – Pickleball is one of the fastest growing paddle sports in North America. It is a combination of tennis, badminton and table tennis. Through play, participants develop strong hand, eye and foot coordination, which is necessary for all facets of sports and fitness. Masters Pickleball is for players that have advanced skills with the ability to serve with accuracy, maintain long rallies and handle fast exchanges at the net. Meditation – Meditation is a practice where an individual uses a technique – such as mindfulness or focusing their mind upon a sound, object, visualization, breath, or movement, to train attention and awareness, in order to increase awareness of the present moment, reduce stress, and promote relaxation. Metafit – Metafit is a high-intensity workout that includes a series of body-weight exercises with interval style training that is designed to target large muscle groups and have a positive impact on your heart health. One session keeps your metabolism working rapidly for up to 24 hours, so you’ll still be burning fat long after your training session is complete. On The Move – On the Move is a full–body workout that focuses on timing and coordination of movement, including cardiovascular and muscle conditioning. This program is suitable for older adults through to the beginner exerciser, incorporating a variety of resistance techniques to improve strength, balance, flexibility, and posture. On The Move: Balance – Balance, is focused on just that – improving your balance. A variety of exercises will be performed that will target your agility and coordination. On The Move: Chair Fitness – Chair Fitness is a full–body workout that focuses on timing and coordination of movement, including cardiovascular and muscle conditioning. This program is suitable for older adults through to the beginner exerciser, who would like to take part in a fitness class but are unable to do some of the movements due to physical restrictions. On The Move: Cycle & Strength – Cycle & Strength is a great extension to the regular On the Move program focusing on a full–body workout that focuses on timing and coordination of movement all while utilizing the stationary bikes. The class will include a variety of resistance techniques to improve core stability, muscular strength, flexibility, and posture. On The Move: Strength & Cardio – Strength & Cardio will include a variety of resistance techniques to improve core stability, muscular strength, flexibility, and posture while also working on your cardiovascular strength. Participants have the option of performing the movements at a low–impact or high–impact level. Pickleball – Pickleball is one of the fastest growing paddle sports in North America. It is a combination of tennis, badminton and table tennis. Through play, participants develop strong hand, eye and foot coordination, which is necessary for all facets of sports and fitness. Pickleball is fun for players of all activity levels. Pilates – Pilates is a ‘mat work’ class that focuses on strengthening your core, as well as increasing your flexibility and endurance. Pilates is also a great way to increase strength, improve posture and coordination and synchronize your mind and body. Compared to other exercise programs, the chance of injury is much lower in Pilates. It is suitable for both beginners and for people who already exercise regularly. Post-Natal Spin & Core – Post-Natal Spin & Core will help you start your journey towards safely returning to your pre-baby exercise routine. This fun workout combines a cycle component and a core workout that you can do while spending time with your baby and other new moms who get it. Pump – Pump is a total body workout that starts with an active warm-up. The class includes a variety of resistance apparatus’ to improve core stability, strength, endurance, flexibility, and posture. Qj Gong – Qi Gong is an ancient Chinese discipline which focuses on the manipulation of energy while promoting physical, emotional and mental wellness. Through good posture, healthy breathing and mental focus exercisers of all ages and abilities will learn how to cultivate and manage energy. Racketball – Raquetball is a great way to enhance your fitness, increase agility and coordination, and keep your mental focus sharp. And it’s a fun and healthy way to connect with friends or family. Courts are available at the Barrie YMCA on a drop-in basis. Why not challenge someone to a friendly game today? Recreational Pickleball – Pickleball is one of the fastest growing paddle sports in North America. It is a combination of tennis, badminton and table tennis. Through play, participants develop strong hand, eye and foot coordination, which is necessary for all facets of sports and fitness. Recreational Pickleball players may have limited experience but can handle moderately paced shots, small rallies and execute a basic serve. Run Club – Come meet other people and enjoy a run together. Run level depends on the number of participants in the session. Where possible runners will be split into groups suitable for their ability. It is recommended that participants have the ability to run up to five kilometers in distance. Seated Meditation – Practice meditation while seated. Meditation is a practice where an individual uses a technique – such as mindfulness or focusing their mind upon a sound, object, visualization, breath, or movement, to train attention and awareness, in order to increase awareness of the present moment, reduce stress, and promote relaxation. Soccer – It’s time to burn some energy! Come to the YMCA and join other participants in a friendly game of soccer. It’s a great way to stay fit, meet other youth in the community, and have fun. Teams are made upon arrival and games are self-refereed. Friendly staff are on-site to answer questions and provide instruction if needed. Social Aquafit – This class is participant lead and includes all the same benefits as Aquafit. It is ideal for those looking for an opportunity to be social and select their own musical choices as they exercise. The program helps improve your range of motion and cardiovascular health. This combination aerobic and muscle conditioning class takes place in both shallow and deep water. Flotation belts will be used for the deep water portion of the class. If needed, hydro fit dumbbells may be used. Squash – Improve your cardiovascular health by playing squash at your nearest YMCA. It is an indoor sport which requires the use of racquets, a court, a rubber ball, and 2 to 4 players. Squash is an exhilarating sport that gets you running, stretching and leaping. It can be played at any age and is easy to learn. Stability Ball – Stability Ball is a full–body workout integrating balance, core stability and cardio training. This class incorporates the ball and a resistance apparatus to improve strength, posture, balance, and flexibility. Step – Step includes choreographed and athletic patterns resulting in a motivating cardiovascular and lower body conditioning workout. It is a great way to improve your coordination while toning and defining your legs and glutes. Strength – Strength is a total body workout that starts with an active warm-up and will include a variety of resistance techniques that will aim to improve core stability, muscular strength, flexibility, and posture. Stretch – Stretch is a total body stretching class which includes all major and minor muscle groups, designed to improve overall flexibility and balance. This is a great class to add on after any workout. Tabata – Tone your muscles and burn calories in this high-intensity interval training class originally developed by Dr. Izumi Tabata for the Japanese Olympic team. Tabata uses a series of 20-second exercises, some using just your body weight, others using bands, barbells, and other fitness tools. Although the exercises are simple, quick repetitions make Tabata an intense workout. As a regular participant, you’ll see your aerobic capacity and strength increase quickly! Tai Chi – This ancient practice is a series of 108 slow, graceful movements, developed in the 12th century by a Taoist monk. All at the same time, it is a healthy exercise, a method of meditation and martial art. The movements are specially designed to relieve stress and fatigue while developing strength, flexibility, and concentration. TRX – This program uses the TRX Suspension Trainer that leverages gravity and your bodyweight to perform hundreds of exercises. You control how much you want to challenge yourself on each exercise – because you can simply adjust your body position to add or decrease resistance. By changing the way you angle your body, every muscle can be engaged in a pull or push motion. The program will not only improve your muscle strength but also your cardiovascular endurance. Vinyasa Power – Vinyasa Power is an energetic practice that is characterized by stringing postures together so that you move from one to another, seamlessly, using breath. Attention will be focused on the breath through this vigorous and challenging practice. Restorative poses end the practice. This class offers a variety of postures and no two classes are ever alike. Vinyasa Yoga – Vinyasa Yoga practice, like the Vinyasa Power, is the flow of postures together connecting to the breath throughout the movement. Modifications are made to fit your own personal practice. Volleyball – Want to meet new friends and hone your volleyball skills? Come to the YMCA and join other youth members in a friendly game of volleyball. It’s a great way to stay fit, meet other youth in the community, and have fun. Teams are made up on arrival and games are self-refereed. Friendly staff are on-site to answer questions and provide instruction if needed. Walks & Weights – Walk & Weights is an instructor-led program that focuses on low–impact fitness where participants use 1-3 pound dumbbells and walk as a group. Adding weights to your body while you walk activates more of your body, and makes every step a little bit harder. In doing so you are not only burning more calories, but you are also toning and building muscle. Wellness Coaching – A YMCA Coach will get you started in your fitness journey and provide ongoing support and encouragement towards the attainment of your personal goals. The coach will guide you in establishing healthy exercise behavior’s while celebrating your continued success. This service is included in Classic and Premium memberships. Yoga – Yoga will help you learn to bring yourself to a peaceful frame of mind through postures, meditation and breathing exercises. Maintaining a regular yoga practice can provide a wide variety of physical and mental health benefits. Yoga for Men – Yoga will help you learn to bring yourself to a peaceful frame of mind through postures, meditation and breathing exercises. Maintaining a regular yoga practice can provide a wide variety of physical and mental health benefits. This class is specifically designed \for men who can reap many benefits from practicing yoga. Yoga for Men increases flexibility, establishes mindfulness, and enhances athletic performance. Zumba® – Zumba is a hit at the YMCA! It’s a great way to get your body moving and improve your health while having fun. Raise your heart rate in the fast interval, and recover in the slower interval that follows. Join us for a calorie-burning, easy-to-follow dance fitness-party™ choreographed to Latin and international rhythms. Zumba Gold® – Zumba Gold is a lower impact version of our popular Zumba class. It’s a great way to get your body moving and improve your health while having fun. Raise your heart rate in the fast interval, and recover in the slower interval that follows. Join us for a calorie-burning, easy-to-follow dance fitness-party™ choreographed to Latin and international rhythms. This is a great way for beginners and older adults to learn Zumba moves. Power Gravity – Power Gravity brings Gravity classes to the next level by incorporating ‘super settings’ to maximize training for particular muscle groups. Gravity is a semi-private strength training program that uses the Gravity Training System. The machine has a glide board that slides back and forth using different incline settings. Instead of weights, you use your body as resistance against gravity. Classes are divided evenly between upper and lower body exercises and there are many variations of squats, lunges, and planks to accommodate your needs. The adjustable incline means that anyone can join the program as machines can be easily adjusted based on your fitness level. Each class will be different in its design and will work to progress your strength and power. Power Cycle – When in need of a challenging workout, look to Power Cycle. Power Cycle is a high-intensity cycling workout that takes place on a stationary machine and is a great cardio workout. This cycle class focuses specifically on interval training –blending sprints, hills, and endurance with full–body moves, plyometric’s and free weights off the bike to condition your whole body. Bike shoes are not recommended for this class. Cycle classes include both endurance and cardiovascular training which lead to increased strength in core muscles and improved heart health. Outdoor Bootcamp – Outdoor Bootcamp is led by YMCA staff who will provide participants with a series of exercises that are designed to enhance fitness levels while having fun in the great outdoors. The workout consists of sports drills, lightweights, jump rope, battle ropes, and body weight exercises to help improve strength and stamina for any activity. Using a combination of cardio and strength training, it is a great way to burn calories, get fit, make new friends and get some fresh air. Fundamentals of Yoga – Yoga will help you learn to bring yourself to a peaceful frame of mind through postures, meditation and breathing exercises. Maintaining a regular yoga practice can provide a wide variety of physical and mental health benefits. In this program you will also learn the alignment principles to practice mindful, healthy, and safe yoga, strengthening the foundation of your existing yoga practice. A solid yoga practice will help you build strength, focus and inner peace. Taijfit – The YMCA is making Taijfit more fun and accessible. This class combines the best elements of fitness, meditation and martial arts. The main objective of this program is to induce, develop and improve a state of FLOW by using special Taiji (Tai Chi) moves as the content of the workout. The workout is designed to focus on continuity, connection, balance, and full-body exercise in order to reduce stress and improve body coordination. Adult Basketball League – The Adult Basketball League is participants looking for an organized Basketball experience. The game schedule depends on the number of participants/teams entered. Leagues occur over a number of weeks. For team sports, participants may register individually and be placed on a team or a whole team can enter. Led and refereed by YMCA staff. Registration required. Fee applies. Adult Dodgeball League – The Adult Dodgeball League is for participants looking for an organized Dodgeball experience. The game schedule depends on number of participants/teams entered. Leagues occur over a number of weeks. For team sports, participants may register individually and be placed on a team or a whole team can enter. Led and refereed by YMCA staff. Registration required. Fee applies. Adult Floor Hockey League – The Adult Floor Hockey League is participants looking for an organized Floor Hockey experience. The game schedule depends on number of participants/teams entered. Leagues occur over a number of weeks. For team sports, participants may register individually and be placed on a team or a whole team can enter. Led and refereed by YMCA staff. Registration required. Fee applies. Adult Soccer League – The Adult Soccer League is for participants looking for an organized Soccer experience. The game schedule depends on the number of participants/teams entered. Leagues occur over a number of weeks. For team sports, participants may register individually and be placed on a team or a whole team can enter. Led and refereed by YMCA staff. Registration required. Fee applies. Adult Squash League – The Adult Squash League is for participants looking for an organized Squash League experience. The game schedule depends on number of participants/teams entered. Leagues occur over a number of weeks. For team sports, participants may register individually and be placed on a team or a whole team can enter. Led and refereed by YMCA staff. Registration required. Fee applies. Adult Volleyball League – The Adult Volleyball League is for participants looking for an organized Volleyball experience. This program is ideal for beginner players or individuals that are looking to get into the sport. The game schedule depends on the number of participants/teams entered. Leagues occur over a number of weeks. Leagues occur over a number of weeks. For team sports, participants may register individually and be placed on a team or a whole team can enter. Led and refereed by YMCA staff. Registration required. Fee applies. Athlete Obstacle – The Athlete Obstacle program is designed to increase your performance for an upcoming obstacle race, mud run or anything in between. The program is fun and challenging and will push your workouts to the next level. Participants can sign up as a team or individual to see how you can make gains on the course. This program is suitable for advanced fitness levels and abilities. Commit to Fit – Commit to Fit is designed as an 8-week workshop. In weeks 1, and 8, participants will be evaluated for their fitness level with a number of tests covering various aspects of physical fitness. In the other weeks, there will be instructor-led workouts designed to improve results in all areas. There will also be instruction and practice on exercises that will focus on different core areas of fitness that members may utilize on their own time. Using a combination of cardio and strength training, it is a great way to burn calories, get fit and make new friends. Endurance Cycle – Endurance Cycle is a 10-week program designed to prepare you for the upcoming outdoor cycle season. Whether you are training for a bike race, a triathlon or a Ride to Conquer Cancer, this class will help build your endurance. The program will also provide you with nutritional information specifically geared for endurance cycling. Endurance Swim – Endurance Swim is a 10–week program designed to help you build your endurance in the water. The program will also provide you with nutritional information specifically geared towards endurance swimming. Fit Camp – Fit Camp is a registered program that will help you gain control of and develop a healthy active lifestyle. Our coaches will incorporate how to establish good eating habits and provide progressive yet fun workouts. Each week will include a group discussion and a workout that will help you learn how to create a balance between nutrition and exercise with measurable goal setting and resources to take with you. Floor Curling – Floor Curling is an activity for all ages and abilities. With specialized equipment, it combines the sports of curling and shuffleboard. This drop-in program promotes flexibility, increases the range of motion, and improves circulation. Golf Conditioning – The Golf Conditioning program increases strength and endurance and enhances motor control in the particularly vulnerable areas of the body. In this program, participants will use different apparatus’ such as BOSU, dumbbells, and bands to challenge stability, balance and rotational movements. HIIT Camp – HITT Camp is a 6–week workshop that gives participants a dynamic, energy filled, motivational and functional workout and provides weekly nutrition tips on how to fuel your workouts. The program offers a complete approach to interval training using equalizer bars coupled with high energy music and Tabata inspired intervals to build: strength, speed, and agility. This program is suitable for all fitness levels and abilities. Kick Camp – Kick Camp is a 6-week workshop that will let you kick, bob and weave your way into fitness! Join us for some great high energy core exercises, strength training, and combinations. This program is designed to build stamina, improve coordination and flexibility, and burn calories in a fun and challenging environment. Learn to Run – RUN! You’ve always wanted to run but don’t know where to start. This is the program for you! Designed to teach you about running, nutrition, goal setting, injury prevention, pacing and much more. Join a group of people and get on track. This program focuses on various distances from Learn to Run to Learn to Run Marathon. Line Dancing – Line Dancing a type of country and western dance that involves people standing in rows, performing choreographed dance moves to the music. It consists of patterned foot movements that are usually performed to a number of counts per sequence. This fun and social workout let you shuffle, kick and stomp your way into fitness. On The Move: Functional Fitness – Functional Fitness, is a full–body workout that focuses on timing and coordination of movement, including cardiovascular and muscle conditioning. This program is suitable for older adults through to the beginner exerciser, incorporating a variety of resistance techniques to improve strength, balance, flexibility, and posture. This program includes an educational component that will provide participants with proper exercising forms and techniques to ensure a smooth transition into other fitness programs that want to partake in. Personal Training: Punch Pass – Personal training is an inclusive service that provides participant education, development, and improved fitness performance. Personal training emphasizes the physiological aspects of exercise and is often the next step once healthy behaviors have been established. Pound – You become the music in this exhilarating full-body workout that combines cardio, conditioning, and strength training with yoga and Pilates-inspired movements. Using Ripstix®, lightly weighted drumsticks engineered specifically for exercising, POUND transforms drumming into an incredibly effective way of working out. Designed for all fitness levels, POUND provides the perfect atmosphere for letting loose, getting energized and toning up. The workout is easily modifiable and is offered to all ages and abilities. Prenatal Yoga – You don’t need to have any yoga experience to enjoy the benefits of Prenatal Yoga — it’s a supportive, nurturing experience! It’s a great way to help prepare your body and mind for birth while addressing some of the discomfort and stress associated with pregnancy. You’ll learn gentle postures designed specifically for expectant mothers, as well as guided relaxation and breath awareness techniques that will leave you feeling strong, relaxed and more connected to yourself and your baby. Progressive Pilates – Progressive Pilates is a ‘mat work’ class that focuses on strengthening your core, as well as increasing your flexibility and endurance. Pilates is also a great way to increase strength, improve posture and coordination and synchronize your mind and body. Compared to other exercise programs, the chance of injury is much lower in Pilates. It is suitable for both beginners and for people who already exercise regularly. In this specialized progression course, exercise equipment will be introduced to assist in increasing flexibility and overall strength. Restorative Yoga – Restorative Yoga will help you learn to bring yourself to a peaceful frame of mind through modified postures, meditation and breathing exercises. Known for its relaxing, calming and healing effects, Restorative Yoga is popular with people recovering from an injury or illness. Movements are all about slowing down and opening your body through passive stretching. TIME – Together in Movement and Exercise. If you live with mobility challenges due to stroke, brain injury, Parkinson’s, MS or other conditions, TIME can help you improve your: fitness, balance, confidence, and energy. This is a registered community-based exercise program designed by physiotherapists at the Toronto Rehab Institute for adults with mobility challenges. Participants must be able to walk at least 10 meters with or without an assistive device such as a walker or cane. Triathlon Club – The Triathlon Club promotes a lifelong passion for physical activity while focusing on swimming, biking, and running. While the program focuses on the fundamentals and techniques of triathlon training it also aims to build endurance and enhance fitness skills. A larger goal of the program is to develop self-esteem, teamwork, goal setting and self-discipline. This drop-in program runs year round and can include pool and land components as well as outdoor training. Participants should comfortably be able to swim the width of the pool. TRX Circuit – The TRX Circuit program uses the TRX Suspension Trainer that leverages gravity and your bodyweight to perform hundreds of exercises. You control how much you want to challenge yourself on each exercise – because you can simply adjust your body position to add or decrease resistance. By changing the way you angle your body, every muscle can be engaged in a pull or push motion. The program will not only improve your muscle strength but also your cardiovascular endurance. Urban Poling – Join the YMCA for some fresh air and exercise! Urban Poling is an outdoor program where you add poles to your walks. In comparison to regular walking, Urban Poling is said to provide an increase in cardiovascular activity, an increase in heart rate and an increase in calories burned. Additional benefits include improving muscle tone, which will then increase your resting metabolism. As this program will be held outside, we ask that you please dress accordingly. All equipment will be provided. Weightlifting Techniques – During the Weightlifting Techniques program participants will learn proper positions and the basics of training with barbells. Participants will leave this class feeling confident about developing their own strength and will now have the knowledge to be able to build their own workout programs that involve proper technique and form in a safe environment. Yoga Nidra – “Nidra” is a Sanskrit word meaning wakeful sleep, this workshop will lead you through gentle stretches and movement to prepare you for the Yoga Nidra experience. This workshop is a journey through stillness and mindfulness to gain a greater sense of calmness, clarity, and serenity. Yoga & Weights – Yoga & Weights is a great way to build strength, endurance and muscle tone! The program lets you add a little extra to your yoga workout by using weights and dynamic movements while holding your yoga poses. Women & Weights – Women & Weights is an 8-week program designed to empower women to be able to take their work out into the free weight area of the wellness centre with confidence. Through small group sessions, we will bring women together, teach them to use free weights properly and help them achieve their goals. Cardiovascular Rehab – Cardiovascular Rehab is a supervised outpatient program that has been specially designed for individuals with cardiovascular disease. The program is focused on increasing participants exercise tolerance and includes a series of educational sessions led by a Kinesiologist. The objective of the program is to help you regain your strength, prevent your condition from getting worse and reduce your risk of having heart problems in the future. Building Balance – Building Balance is a fall prevention program that is designed for individuals who are fearful of falling, who have already fallen or have had near falls. Participants are taught strengthening and balance exercises to help keep them on their feet, in a safe and comfortable setting. An educational component is also included that covers topics such as reducing modifiable falls risk factors, strategies to rise from a fall, as well as instructions for home exercises. Fitness for Health – Fitness for Health is a six-week, comprehensive exercise program designed to remove barriers to exercise for anyone living with a chronic condition. Participants learn activities and exercises that will help them live a healthy lifestyle. Low impact exercises focused on increasing strength and balance are at the core of this program. This program helps individuals improve their fitness levels, enhance their quality of life and make regular physical activity a part of their daily lifestyle. Healthy Hearts – The Healthy Hearts program is delivered in partnership with the Royal Victoria Regional Health Centre and has been specifically created for individuals who have a cardiac risk or have had a cardiac incident. This program support participants in their life-long journey towards health and wellness in a supervised manner with an educational component. You will need a doctor’s referral, but once you are cleared to participate, Healthy Hearts will aim to provide you with strategies and exercises to enhance your health and connect you with a supportive Y community. The program is designed to help participants to regain strength, reduce the risk of future cardiovascular events and improve your overall health and quality of life. iCan – iCan is a community-based cancer rehabilitation program run in partnership with the Royal Victoria Regional Health Centre. The program is for individuals who have finished their active treatment. The program focuses on restoring and improving your physiological and psychological wellness. A tailored exercise program will be designed based on each individual’s needs and goals in an effort to improve cardiovascular function, muscular strength and endurance, flexibility and range of motion, and fatigue management. Pulmonary Rehab – Pulmonary Rehab is an exercises program designed for individuals with chronic lung diseases, such as COPD. The program includes supervised exercise classes and educational sessions from regulated healthcare professionals. The use of exercise and education is applied to help build energy levels, increase endurance, strengthen the heart and cardiovascular system, and enhance the individual’s quality of life. Fitness for Breath – Fitness for Breath is a respiratory exercise maintenance program that includes aerobic exercises, resistance and strength training and flexibility exercises. The program is intended to help individuals integrate an exercise routine back into their lifestyle. In this program, participants learn the importance of staying active for life and the health benefits of exercise. It is designed for anyone with a chronic lung disease such as COPD, pulmonary fibrosis or severe asthma – who have completed a pulmonary rehabilitation program.